Whitby Town retained their position at the top of the Evo-Stik Northern Premier League on Saturday afternoon with a 2-1 win at Barwell. Paul Connolly takes us through five things that we learned from the victory. Although the focus of this season has been to secure a solid, mid-table position, it would be easy for any Whitby Town supporter to get carried away. Promotion, or at least play-offs, though could be something that is closer than many thought and Steven Snaith’s performance proved he can be the midfield general that leads Whitby there. Snaith led by example, driving every Whitby attack and coming back to do the hard work at the back. 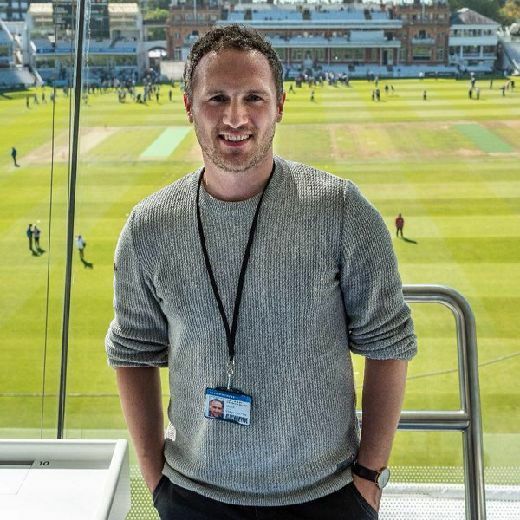 Chris Hardy has held high praise for Snaith and his leadership over this season and his is guidance so far has proved this to be correct, having led Whitby to the top of the pack. More performances in a similar vein will only serve to benefit the side and make teams continue to sit up and notice the progress Whitby Town is making. A big talking point of the game, pre-match, was the absence of Dale Hopson. Although Hopson travelled with the squad, he was forced to sit out due to a suspension obtained against Marine. The midfielder has been a crucial member of the Blues side since the start of the season, netting on ten occasions this season. Without Hopson though, Whitby still managed to tick. Steven Snaith put in a performance of the highest order and Mikey Roberts drove Whitby’s attacking force, netting on two occasions. Although he does provide creativity and a number of goals, it will be a positive sign for supporters that other players can step into the system to do as effective a job. Despite the physicality of Barwell, Whitby looked comfortable in coping with the game. Chris Hardy is a firm believer in passing football and his system has worked wonders for the Blues. A few have questioned whether Whitby may need a plan ‘B’, with more physical players included. To date, that thought seems to have been proven wrong. Once Hardy’s men settled into the game and opened it up in their favour, the goals never looked in doubt. Mikey Roberts’ running in behind caused Barwell no end of problems. The two deep-lying midfielders David McTiernan and Adam Gell broke play up excellently to allow Whitby’s creative players the freedom to attack Barwell. The back five looked as composed as ever. Mark Robinson led Luke Bythway and Andrew May with his years of experience, whilst the wing-backs grew into the game to stop Barwell getting the ball into the box as much as they’d have liked. This time last year, Whitby were sliding down the league with little trace. Town were still licking their wounds from a 4-1 humbling at the hands of basement boys Ramsbottom United and Darren Williams' job was teetering on the edge. Fast forward a year and Whitby Town are flying high at the top of the league, with little sign of giving up their dominance. The Blues now sit on 34 points from 17 matches at the summit of the Evo-Stik Northern Premier League, a total that wasn’t achieved until March 19th last season, after 36 matches. One of Chris Hardy's buzzwords is consistency. Listen to any interview and you’ll notice the word pop up at some point. 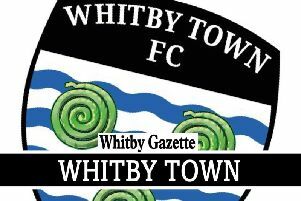 Crucially, Whitby are starting to find consistency at a level that they haven’t known for a very long time. The win at Barwell made it three in a row for the Seasiders, extending their unbeaten run to four, regaining form off the back of two straight defeats. Before that, the Blues enjoyed an eight-game unbeaten league run that lifted them into the play-off picture they now find themselves in.